Every month, on the first Saturday, the London Fields Brewery host the Craft Beer Challenge in their Brewhouse in London Fields. Each month has a different theme, and for August the theme is Great Britain vs. Europe, with lots of beers to taste from both. 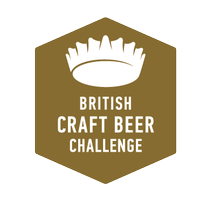 "The British Craft Beer Challenge is the ultimate beer test that will bring brews from around the world together in a head to head challenge. The search will be far reaching to all corners of the globe bringing the best beer from around the world to one spot in East London, the culturally vibrant Hackney. That’s why we will be recruiting all beer lovers, occasional fans and total geeks – to assist in our search at a series of events held at The Brewhouse across the summer of 2013. We’re selling just 500 tickets per day to this event which promises to be a modern celebration about all that is great about contemporary British craft beer. Unlike other international beer and brewing awards the British Craft Beer Challenge will invite the opinion of the most important beer fanatics of all – you, the everyday drinker – to cast their your on your favourite beer. In case that is not enough reason to bring the family and friends along each event will see an array of local food producers and musicians ready to provide the perfect accompaniment to a challenging day! Bristol Beer Factory - Hefe"